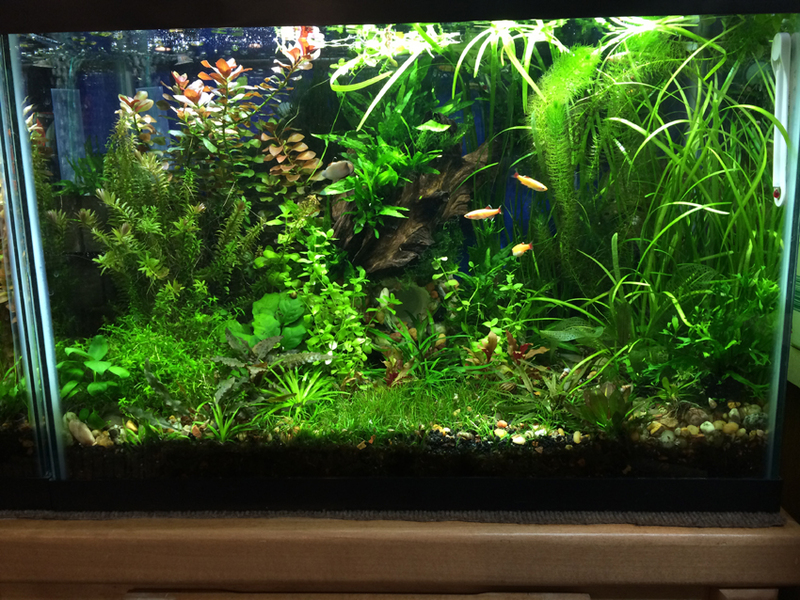 The above is a couple of 20 gallon planted aquariums that the pictures were forwarded to me that has been using ONLY ONE American Aquarium GroBeam and ONE T2 Aquarium Light. This pictures can be enlarged by clicking on (photos by Patricia Grice). This is a consumer review sent to me (by a friend of a friend). The output is similar to the GroBeam 500/600 since the emitters are identical (although there are differences in the drivers), so those looking into a GroBeam 500/600 can certainly find this review useful as well. “1. – Extremely well packaged and arrived in perfect condition. I’m only using one light for the next two weeks until I get my big tank set up. 2. – VERY WELL MADE lamps from the water resistant covers to the sockets. These are very sturdy lights. You get what you pay for. 3. – I LOVE these Gro-Beam 1000 lights! I may have been using an old 175w metal halide bulb, but these lights are every bit as bright and concentrated as metal halide. I love the “beam” effect it has when punching through the water. The color is beautiful, and it truly looks like my tank is in the sun. 4. – NO light pollution – the light goes where it is directed. I had light going everywhere with my metal halide. It is a more calming light. When I’m on my couch starting at the aquarium, I don’t feel like I am looking into stage lights. 5. – Have you done a PUR study on these? My plants have NEVER pearled as much under halide as they do with this light. It’s kind of like looking through a weak glass of 7-up. Outstanding! So, I know my plants are loving it if they pearl within and hour and oxygen saturation has occurred within that short time frame. 6. – The dark corners when the light is close to the water (for the next few days, it is sitting on the glass canopy) gives a beautiful appearance of great depth or distance to the tank. It isn’t a light explosion like with UGLY fluorescent lighting. Extreme lighting in all areas which can be accomplished through HO fluorescent is far from calming to look at. With the GroBeam 1000. It looks like I am underwater looking at the items – there are shadows, glitter lines, and a sense of depth which is natural in nature. 7. – These two lights will pay for themselves in 3 years vs. metal halide or other LED systems. I ran the numbers, and with the amount saved and the 5 year warranty, they can’t be beat. After seeing and experiencing the build quality, I can now certainly confirm this. 8. – Bye Bye to my metal halide, the heat, the very warm ballast, and the feeling I was always under a sunlamp when working in my tank. 9. – Bye Bye to the expensive bulb replacements and the special handling they require. You aren’t supposed to touch the halide bulbs with your fingers – hmmmmmmmmmm, how do you replace them then, with gloves? If oil from the skin can damage a metal halide bulb, why are we using such “delicate” things? I always used my bare hands but always worried too what would happen. 10. – and finally, HELLO to the LEDS!!! Welcome to the new technology and the safety of them. They are worth every penny. I’m looking forward to having to prune my planted tank often. That’s what makes the hobby fun. P.S.I purchased some fish magazine off the shelf and was looking through it last night. There were bunches of ad for LEDS, 155 1 watt bulbs!, etc. I just had to laugh when I read them 🙂 I hope people truly do their research!! 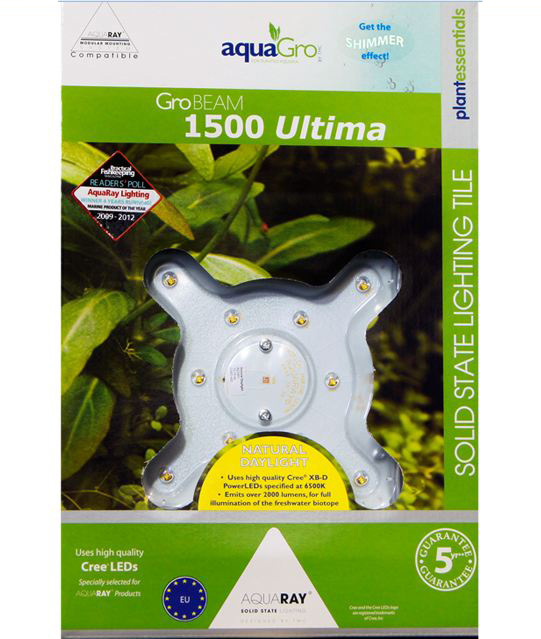 • The New (as of January of 2013) GroBeam XB-D Ultima 1500 Tile & 600 Strip is an over all wide angle 65K High Light Planted or Fish Freshwater Aquarium Light. These new emitters seem to run even cooler than earlier emitters with a voltage variance that likely will be less sensitive to voltage spikes that moisture in an aquatic environment can cause. The 600 Ultima consists of 5 x 6,500K XB-D LED emitters. 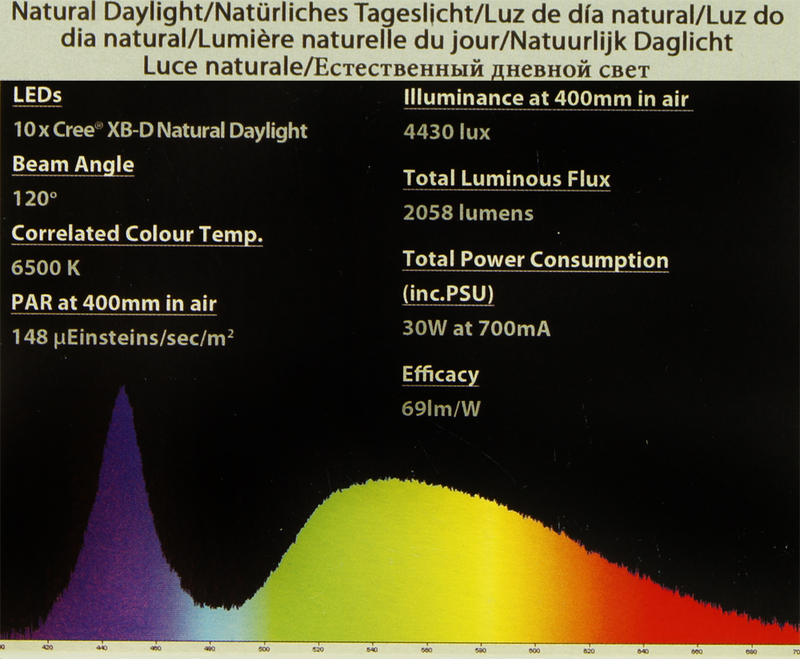 • The 1500 tile achieves 2058 Lumens, and a PAR of 148 uEinsteins/sec/m2 @16 inches. 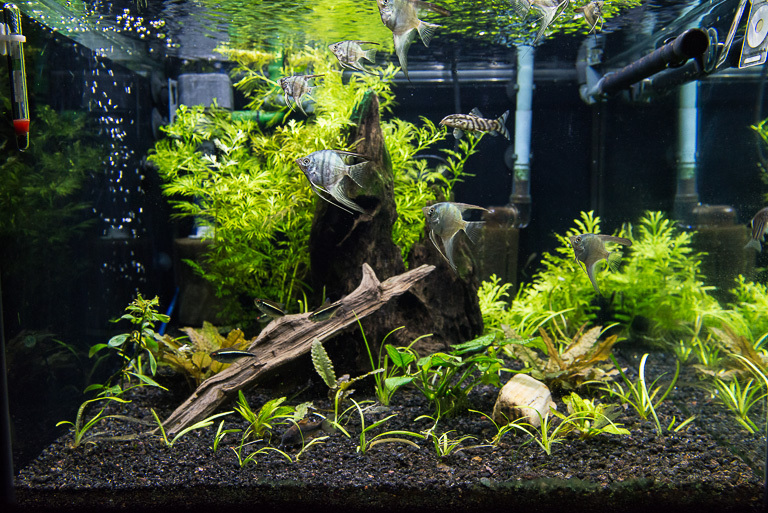 This entry was posted in Aquarium Lighting, Aquarium Maintenance, Uncategorized and tagged AquaRay, Aquarium Plant Light, Consumer Review, Customer Review, Gro-Beam, GroBeam, GroBeam 1000, GroBeam 1500 Ultima, GroBeam 500, GroBeam 600 Ultima, GroBeam Review, GroBeam Strip, Plant Light, Planted Aquarium, Planted Aquarium LED, TMC. Bookmark the permalink. Am waiting for response from retailer. 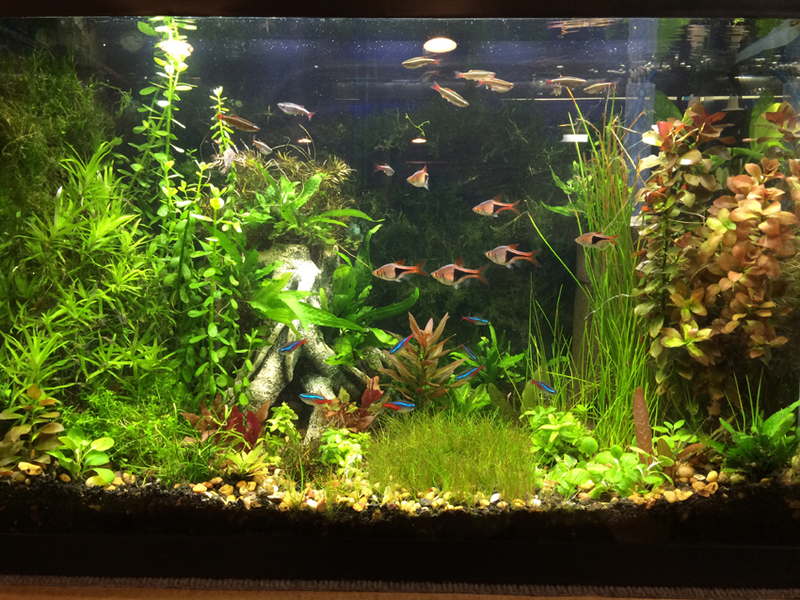 TMC is very good as per my aquarium maintenance friends at standing behind their products. I personally use the GroBeams and even had one emitter go out. The replacement was quickly forth coming and the reason it went out was improper placement, for which the company (American Aquarium Products) still replaced it anyway even though there was damage from humidity. This is why I added a section as to proper placement and care of your LED fixture, which I have had no problems since. I would like to see the growth on the 45 gallon cube after many months if possible. I use one Grobeam 600 now (since december 2015) with 2 other leds from other companies on the same tank. I cannot complain.